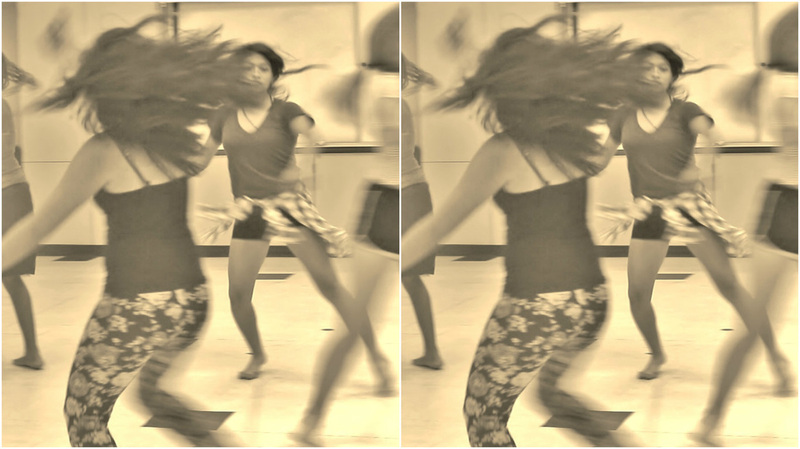 Student dancers have been working diligently and conceptually to realize possibilities for constructing physical relationships around space, form, design and intentional juxtaposition with their bodies and as an ensemble. 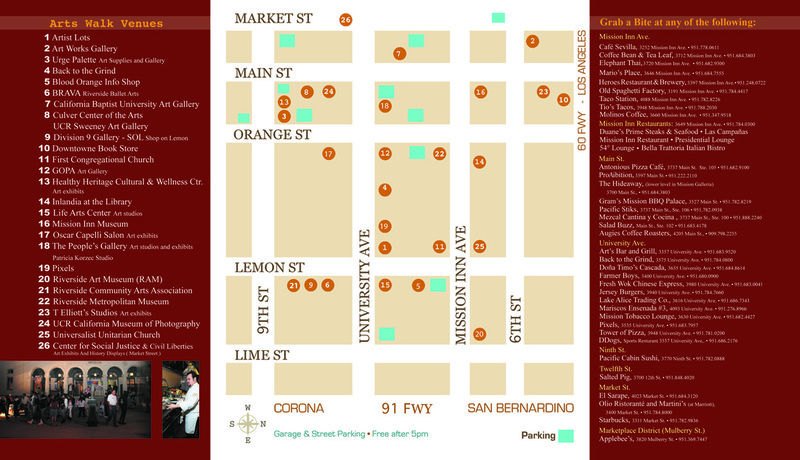 The creative process is further informed by the current exhibition at host-site, Riverside Community Arts Association. 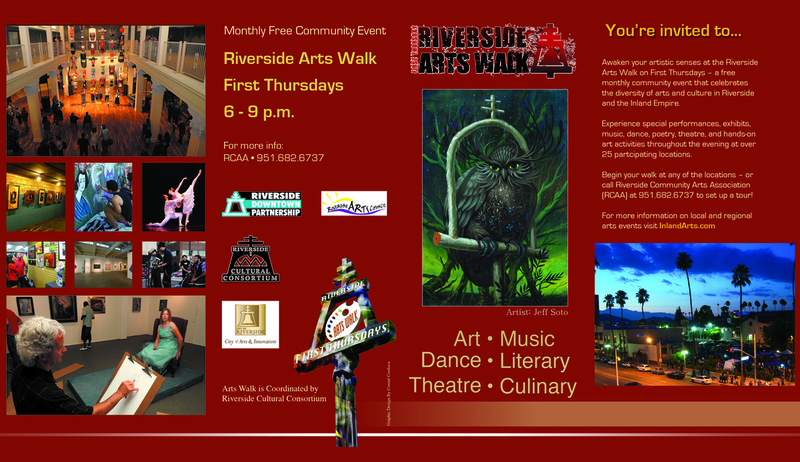 Celebrate the arts in downtown Riverside. Visit over 22 art venues including museums, galleries, and studio sites, 6-9 PM, all free.